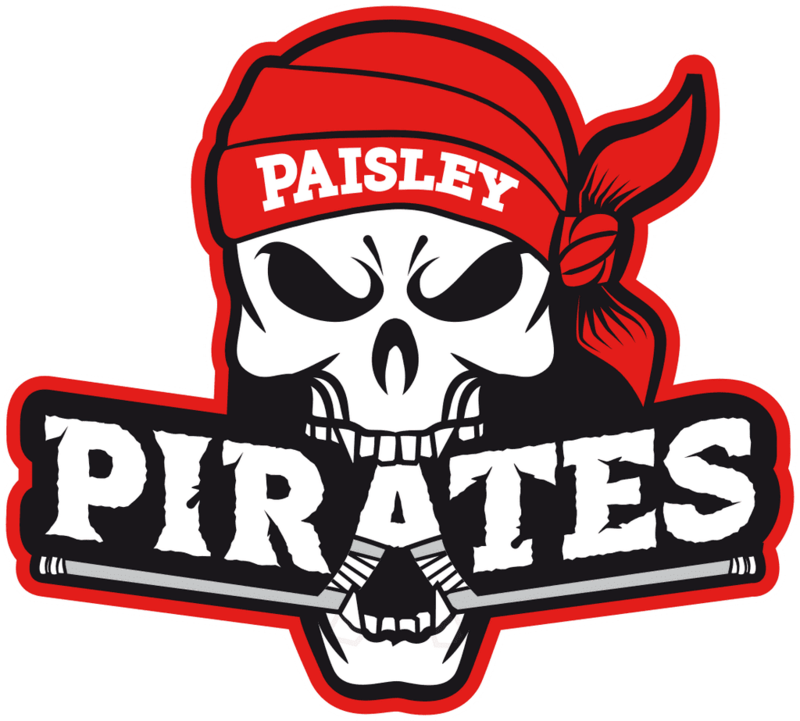 Pirates recorded another big win as they eventually overcame North Ayr with ease after a few uncomfortable moments early on. They were on the board in just over a minute as Bain was first to reach a rebound to flick the puck behind Beveridge, to give his side the lead. In spite of having the bulk of the pressure, however, Pirates were level in the 9th minute as the visitors pounced on a loose puck in their own zone to break away at speed and net through Davidson to give a scoreline which did not reflect the run of play. However, the home side continued to dominate in a somewhat scrappy affair and in the 16th minute as a bullet from Walker at the blue line flew beyond Beveridge into the top corner, restoring a lead which they never lost. Their superiority was reinforced within 30 seconds as Crute made it 3-1 going to the break, a lead which was perhaps more fitting with the run of the puck in the first stanza. Crute continued where he had left off with a simple tap in on the resumption of play, and with the puck tending to head in the direction of the North Ayr goal, Henderson took his team’s tally to five four minutes later. Pirates were then obliged to play off several minor penalties which disrupted their momentum a little, but a quickfire double from Bain, netting his second, and Dobson within a minute at the latter end of the period was enough to take the game to 7-1, and even a late counter on the powerplay by Coubrough seconds before the end of the session was merely a consolation for the visitors. With the destiny of the points already decided, Pirates continued to press in the final session, with Donaghy replacing Meechan in the home goal and Crute duly completed a treble in the 43rd minute. In spite of numerous chances Pirates were unable to cash in on their play until well into the latter stages when, ironically in the midst of playing off a double minor, they contrived to score THREE shorthanded goals in under two minutes as Thorp’s marker, and a double from Dobson, completing his hat trick in the process, took the final tally to eleven. Pirates continue to rack up the goals, and the league points, and now look forward to the first of two trips in a week to Tayside as they take on the Tigers next Sunday.